The Cheshire Ring is one of the most famous canal routes in the country. 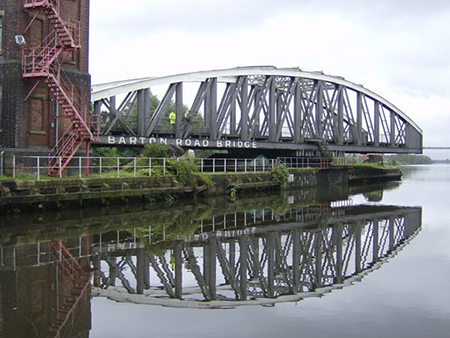 Comprising of 6 canals, the Trent And Mersey, the Macclesfield Canal, the Peak Forest Canal, the Ashton Canal, the Rochdale Canal and the Bridgewater Canal. When you cruise on the Cheshire Ring you will pass through the heart of Manchester, the North West of England and a number of towns in Cheshire. Setting off from Swanley Bridge Marina, it will take between 10 to 14 days to cruise the full length of The Cheshire Ring and you will circumnavigate a mere 108 locks! From our marina you will head along the Shropshire Union Canal towards Middlewich where you will join the Trent & Mersey Canal which is where your journey on The Cheshire Ring begins! If you wanted to explore more of the North West then The Cheshire Ring is a great way to a number of towns and cities. From the vibrant and industrial Manchester to the peaceful village of Wheelock, just outside Sandbach, there’s a variety of places to moor up and explore, eat and drink in.